Roland founded CAMA in 1988 and has been teaching since 1967, including 14 years of public school teaching experience at the grade school and high school levels. 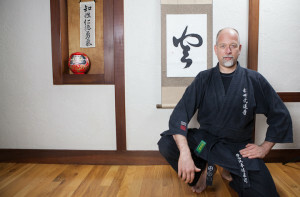 He has obtained advanced degrees and teacher accreditation in eight martial arts systems. Additionally, he holds a Master of Arts degree in Education. 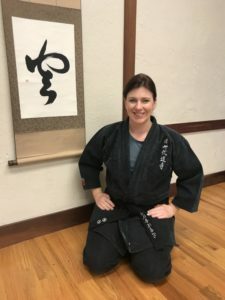 Advice to students: Being a martial artist is equally about traits such as emotional resilience, mental toughness, and a passion for constant learning, as it is about physical prowess. If you conduct yourself as a warrior and a scholar, the world will provide you with everything you need, and probably everything you desire. Ultimately they are the same thing. Laurel has been with CAMA since 1991 and has been teaching since 1993. She holds an Associate of Arts Degree in Business Administration. Roland and Laurel have a teenage daughter, Elisabeth, who has been a student since the age of four. Advice to students: Peace through strength is the inescapable lesson of history. One can’t choose pacifism from a position of weakness. Practice the fight so that you don’t have to. Rob has been with CAMA since 1996. In addition to his extensive experience with Seizan Ryu Kempo Jujutsu, he has also trained in western boxing. Rob’s two children are also students. Advice to students: Have the discipline to come to class regularly and practice. Embrace the struggle, and never stop working on yourself physically, mentally and spiritually. John has been with CAMA since 2005. 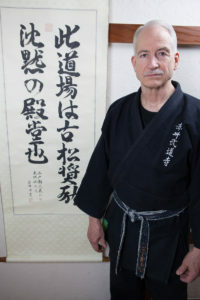 He came to CAMA as a black belt in and long term teacher of Kempo Karate. His son is also a student. Advice to students: I’m a believer in sticking to the basics. You will hear me say “mo ichi do” which means “one more time”. Take the time to deeply study the techniques; correctly practice without worrying about speed. Michael has been with CAMA since 2007. He has additionally studied Chi Lin Chuan Fa and has a black belt in Kempo Karate. Advice to students: Practice the basics as much as possible! Learn proper breathing, move slowly and decisively. Speed will come as a result of moving smoothly, having proper positioning and breath. Always return to the basics! Jon has been with CAMA since 2008. 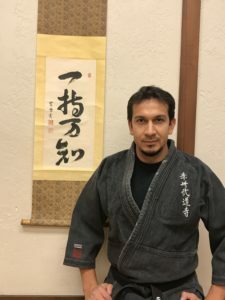 He studied Chinese Kempo for seven years and has five years additional experience in an eclectic mixture of martial arts including Kuntao, Silat, and Brazilian Juijutsu. 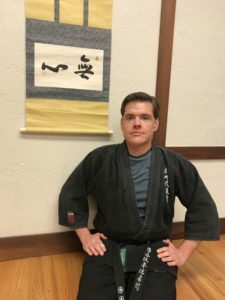 As a registered dietician, he is greatly interested in seeing martial arts and nutrition work together as vehicles for good health. Advice to students: Remember to see each class and even each repetition as pieces in your life long journey in martial arts. Jason as been with CAMA since 2010. 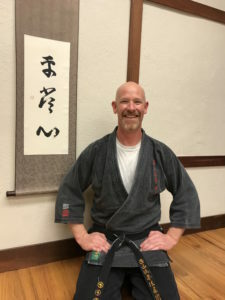 Pursuing martial arts has been a lifelong goal of Jason’s. Teaching is part of who Jason is as he has been a Colorado certified teacher since 2013, and teaches language arts at a high school level. Advice to students: Studying martial times takes time and perseverance, but the rewards are great. Treat setbacks and challenges as lessons to be learned from. 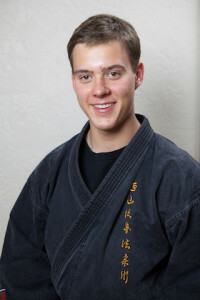 Sterling had a black belt in Taekwondo when he came to CAMA in 2007. 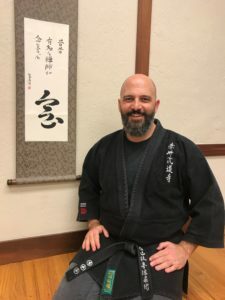 He has an extensive background studying and teaching Taekwondo and Hapkido; he also has background in Aikido and Sulsado, as well as training with both US and Korean Olympic coaches. Sterling also appeared in the martial arts film, “Tiger Street”. Advice to students: Always have a beginner’s mind. There’s always room for improvement and there’s always something new to learn. If you approach situations with a “know it all” attitude you will deprive yourself of many learning opportunities. 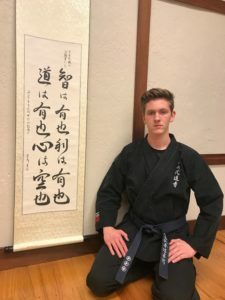 Advice for black belts and soon-to-be black belts: Achieving the level of black belt in a traditional budo system is quite an accomplishment that takes years of dedication, focus and discipline. But, students need to understand it is truly just the beginning. Melinda has been with CAMA since 2008. 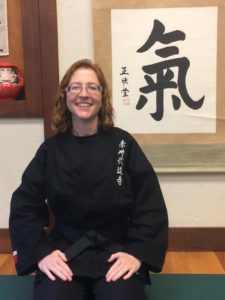 She came to CAMA with a black belt in Kempo Karate and Olympic style Taekwondo. Melinda is also a Colorado state certified school teacher with over 19yrs teaching experience in the classroom, and over 23 years experience instructing kids in summer camp and athletic programs. Advice to students: Live your life with honesty and integrity. Do what is right when no one is watching, without need for acknowledgement or reward, simply because it is right. Have the emotional fortitude to persevere through life’s adversities ,and the empathy and compassion to create a more caring world along the way. This is the true gift of martial arts and what is really means to be a black belt. Byron has been with CAMA since 2002. He has previous experience with Olympic Karate as well as aikido. His daughter is also a student. Advice to students: Relax, have fun and pick at least one thing you can take from each class to make your own, especially if you feel overwhelmed. You may not be able to learn it all at once, but walk away with one thing you did learn that will get you toward the goal. Cara has been with CAMA since 1998. 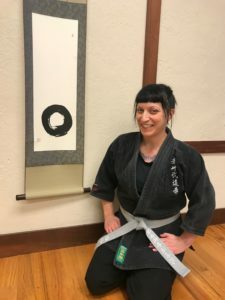 She started at CAMA as a third grader in the children’s program, moving through the youth program and into the adult armed and unarmed programs. She holds a B.A in History Education and Spanish, as well as an M.A. in Culturally and Linguistically Diverse Education. She has been a middle school teacher since 2011. Advice to students: Be patient with yourself as you learn, and never be afraid to ask questions! 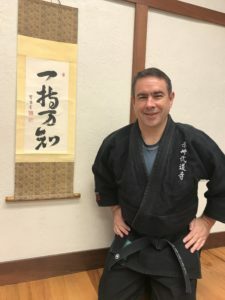 Trying something new for the first time can be challenging, but Jujutsu is all about learning how to work together to master new techniques and grow both inside and outside of the dojo. Pete has been a dedicated student at CAMA since 2008. Advice to students: Martial arts training is much like other important aspects of life: you get out of it what you put in it. Come to class with an open and engaged mind, and you will truly enjoy the experience and benefits. Zach has been with CAMA since 2013. 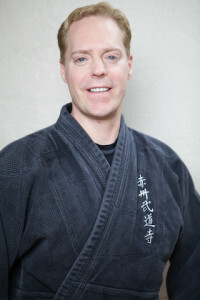 He came to CAMA with a black belt in Kempo Karate and has previous experience with Taekwondo. Advice to students: The more you sweat in practice, the less you suffer in the battle of life. Tabor has been with CAMA since 2013. 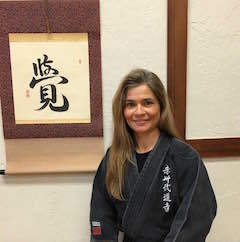 Prior to studying Seizan Ryu, Tabor earned a black belt in Kempo Karate under the instruction of Melinda Gentry Sensei. Advice to students: Internalize basics before attempting advanced techniques, and learn how to fall safely. Teri has been with CAMA since 2017. 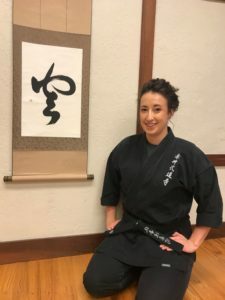 Prior to her studies at CAMA, she earned a black belt in karate with an emphasis on Kyokushin. Teri has a B.F.A from Kansas City Art Institute and many of her works of art are in display here at CAMA. She is currently under the instruction of Michael Sullivan Sensei learning shodo (calligraphy) and scroll mounting. Advice to students: Keep a positive mental attitude even when you are frustrated because that’s how you move forward. Get out of your own way. In addition to years of training in Seizan Ryu Kempo Jujutsu, Mark is a 4th Dan in the Kukkiwon system of the World Taekwondo Federation. He is also an A320 Captain, QC check Airman, Designated Examiner, Mentor Instructor for A320 Evaluators and a Line Check Airman for United Airlines. He is the Vice Chairman for Council 93 Airline Pilots Association, and he holds degrees in both Aerospace Science and Aviation Technology. 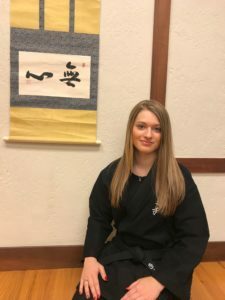 Hilary has been with CAMA since 2014 and has previous experience in Kempo Karate and Taekwondo. She has three sons, all of whom are students. She has a B.A. from the University of Houston. She previously worked as an Early Intervention Specialist, assisting in developmental testing of young children through Baylor College of Medicine. She is currently employed as an administrative professional with Littleton Public Schools. Advice to students: Remember that every black belt student started as a white belt. If you have an interest in martial arts, go for it, despite what obstacles you may face. You may worry you’re too old, out of condition, too afraid, or too sad to be a martial artist. You may not get any younger, but you’ll be happier, more satisfied, more secure and better conditioned if you just show up and train. That has been my experience, and I hope to encourage others who have doubts about whether or not they should pursue their aspirations. Elisabeth is a lifelong martial artist with black belts in both the weapons and unarmed systems . Her passion is teaching children and especially pursuing her advanced studies in the weapons system. Advice to students: Keep training, even when it feels difficult. In the end it will be worth it in how it helps you live your life.